For the past 40 years, Cankarjev dom, located in the centre of the city, in the vicinity of the main modernist square, Trg Republike, and all the major institutions of the Slovenian state (the Parliament, the Governmental Palace, and the Presidential Palace), has been a synonym for cultural and humanistic activities and meetings industry in Slovenia. At the CD Congress Centre Ljubljana, the artistic programme and congress activity have been complementing each other throughout the years – a paradigm that is of particular interest today. All this ranks CD among the finest and most interesting convention centers of Europe. Cankarjev dom is annually visited by half a million people (for comparison: Slovenia has a population of 2 million, while its capital Ljubljana, where CD is located, less than 300.000). There are 22 halls of different sizes, suitable for artistic and cultural events. The venue, with a total surface area of 36,000 sqm, can accommodate up to 5000 visitors at a time and also provides extensive exhibition space. CD’s largest auditorium, Gallus Hall, has 2000 sqm and seats 1545 visitors in the auditorium sitting. The building’s first-rate architecture, designed by an esteemed Slovenian architect, Edvard Ravnikar, offers diversified interior design, different in each auditorium, and invariably original light installations, all of which creates an impression of something new, fresh, unexpected. Cankarjev dom, a unique venue with a distinguished artistic tradition, has become the national epitome of quality gatherings, be it a diverse range of business and scientific meetings or a rich programme of artistic events. CD’s meeting participants can always combine work with cultural events. It is considered a privilege and an exciting experience to be able to attend a convention in one of the auditoriums and then to slip into another hall, just several steps away, where, for example, a concert by the divine pianist Sokolov is taking place. The detailed implementation of its diverse programme is another substantial advantage in comparison to other venues on the market. Members of the team have great expertise. In keeping with the wishes of the clients, the staff design the set, lighting, sound, and multimedia. What’s more, furnished with the invaluable experience they have acquired throughout the decades by implementing CD’s culture & arts programme, the CD team use these skills to enthrall and astound the clients of the Congress and Event Management department. Especially those open to new and different experiences. Although business gatherings, these events can be given the artistic touch. In 1981, Cankarjev dom’s Congress and Events Management (internationally licensed PCO) organized the 7thSymposium of Scoliosis and Kyphosis. As a proud member of ICCA and IAPCO, CD has dedicated its creative energy to organizing international meetings ever since turning into the scientific hub of Slovenia. 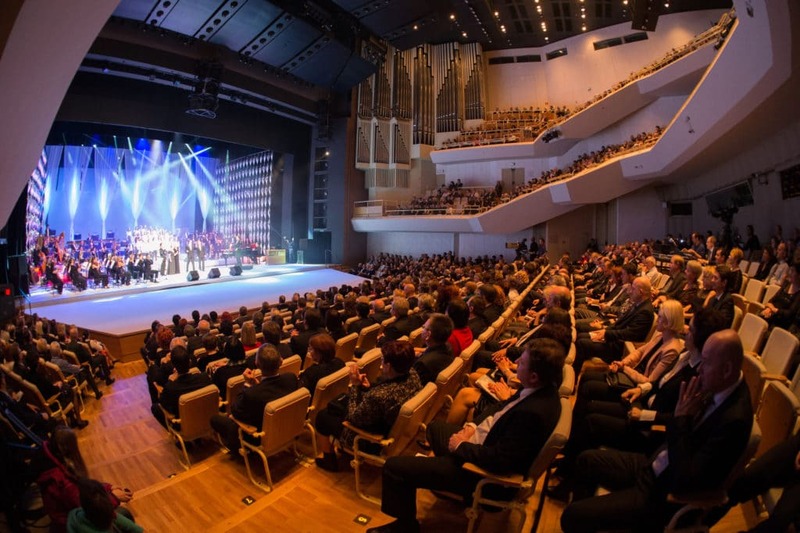 The Congress and Events Management annually organizes more than 200 events, and within the context of these also about 1000 smaller ones, not all of which take place in-house or within Slovenia’s borders. Having a PCO at one’s disposal is a vital advantage when a meeting planner needs immediate assistance or wants to outsource some of the services that, due to their remoteness and transport costs, would not be cost-effective. Today, Cankarjev dom is in high demand. The 2018 international meetings hosted by CD include: EuroPRevent (European Society of Cardiology), the EENA Conference (European Emergency Number Association), the 18th IEEE International Conference on Harmonics and Quality of Power – ICHQP 2018, the European Conference on General Thoracic Surgery – ESTS, EURELECTRIC Annual Convention & Conference, the CIRED Workshop, the International Society of Ocular Trauma, IFIP 2018, the 27th European Conference on Networks and Communications – EuCNC, the 15th International DOCOMOMO Conference, the World Congress of the World Society of Cardiothoracic Surgeons – WSCTS, the 5th European Bois Noir Workshop & Tropicsafe Meeting, the ISPO International Central European ISPO Conference, and the 11th European Public Health Conference. The CD Congress Centre Ljubljana has recently won the bid for the Congress of the European Society for Sexual Medicine – ESSM 2019, the World Construction Forum – WCF2019, the European Peritoneal Dialysis Meeting – EuroPD 2019, the European Dialysis and Transplant Nurses Association/European Renal Care Association – EDTNA/ERCA 2020, the World Congress of Parkinson`s Diesease and Related Disorders – IAPRD 2020, the Anniversary Meeting of the European Society for Paedicatric Nephrology – ESPN, the European Congress of Psychology – ECP Congress 2021, the ESPRM Congress (European Congress of Physical and Rehabilitation Medicine – ESPRM 2022. This is a great achievement for Slovenian meetings industry, which is becoming an increasingly attractive destination for international congresses and events. The CD Congress Centre Ljubljana has solidified its reputation as the central Slovenian convention centre with the highest number of international congresses.